There were a lot of giveaways around here the last 6 weeks. I hope you enjoyed them. I loved sharing some of my favorite products with you, and seeing how excited you were to win. Just because it is January, doesn’t mean the giveaways have to end! 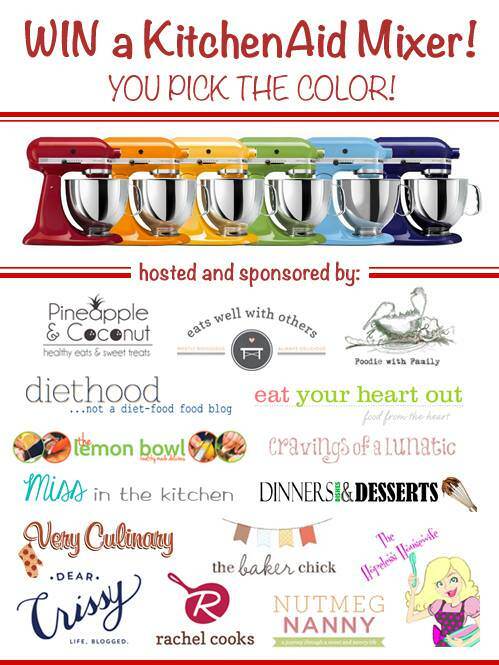 Today I am joining a group of bloggers to give one lucky winner a Kitchen Aid Stand Mixer in the color of their choice. 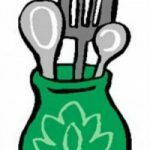 I could not live without my Kitchen Aid mixer, so I know how awesome this prize is. 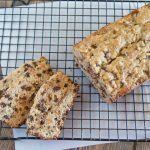 I even have a healthier banana bread you can test out in your new mixer. 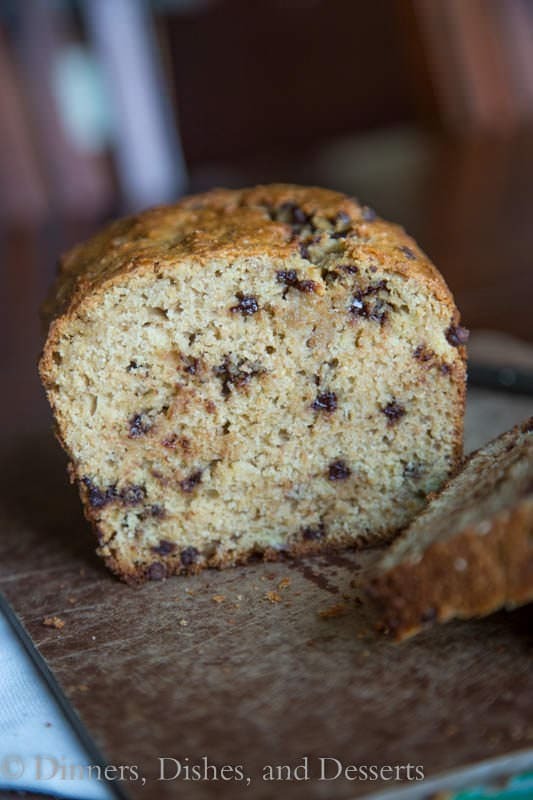 There are probably a million recipes for banana bread out there. I have two different versions here on the blog already. But it is a classic, and it deserves as many variations as people can come up with. 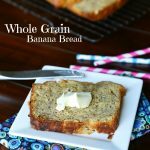 This whole wheat version uses whole wheat flour, coconut oil instead of butter, Greek yogurt for some added protein, and I reduced the amount of sugar that was called for in the original recipe. I did add a few chocolate chips, because it just wouldn’t be me if I didn’t. But you can omit those, or substitute in some chopped walnuts. 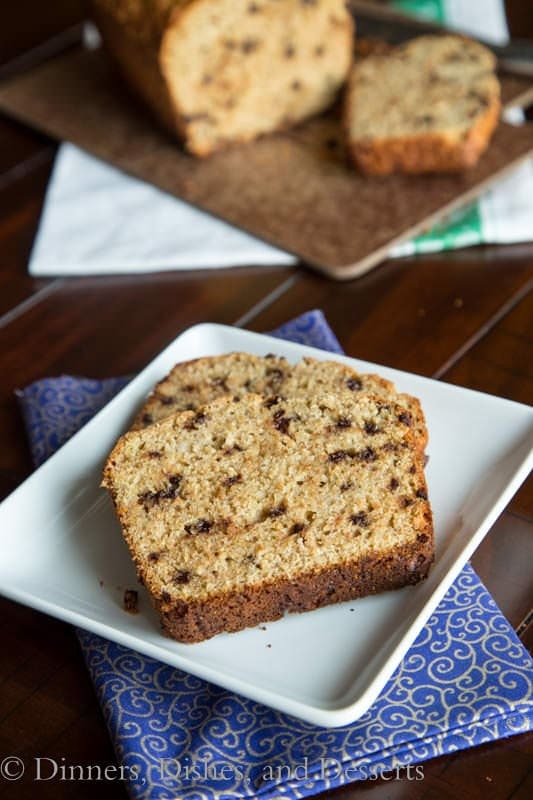 This banana bread recipe makes only 1 loaf. Feel free to double the recipe, so you can freeze one for later. I like having different breads and muffins in my freezer. 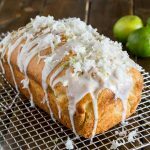 On a lazy weekend or if someone stops by, you always have something homemade to bring out. 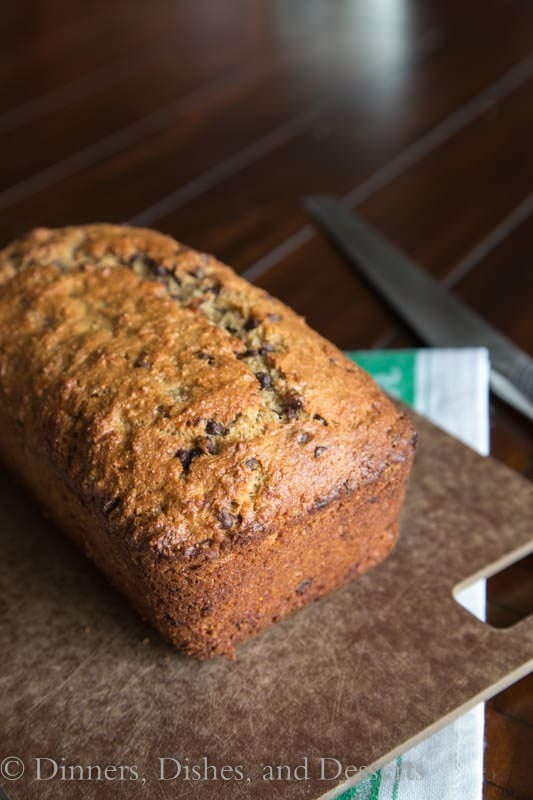 Banana bread also makes great thank you gifts all year round. 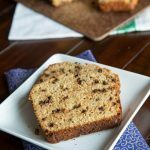 Simple, classic banana bread with whole wheat flour, coconut oil, and Greek yogurt. Preheat oven to 350 degrees. 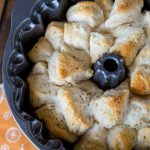 Spray or grease a loaf pan. In a bowl, whisk together flour, baking soda, and salt. Set aside. In a mixer beat together brown sugar, sugar and coconut oil until well blended. Add eggs, beating well after each addition. Add yogurt, vanilla, and bananas. Mix until smooth. Slowly mix in the flour mixture until just combined. Fold in chocolate chips. Pour into prepared pan. Bake for 45-60 minutes, until a tester comes out clean. Remove from oven, and set on wire rack for 10 minutes. Remove from pan, and cool completely before serving. Thanks to all the bloggers for sponsoring this great giveaway! I love this! And this giveaway! This looks amazing – pinning! Awesome giveaway! 😀 But you know I’m here for the whole wheat bread! Go, Erin, go! Yay. 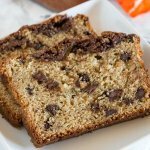 I love banana bread and yours looks so good. Great giveaway too! Maybe it’s just the cold weather, but I’m totally craving baked goods lately. 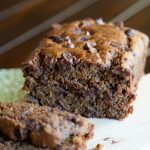 This banana bread looks delicious, and my kids would love the extra addition of chocolate chips. Yum! 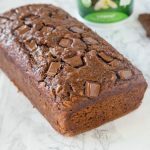 Love any type of banana bread and will eat it anytime!! 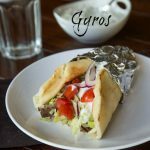 Your recipe looks great and super giveaway! 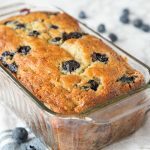 I’m so glad I found this recipe! I’ve made this FOUR times in the past month. Each time I added a different filling. 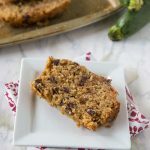 It’s a great dessert, breakfast or snack. Not overly sweet. I’m happy that it is healthy, my toddler loves it, too.